Proceeds Help Bring Barb’s Beer to Boston! 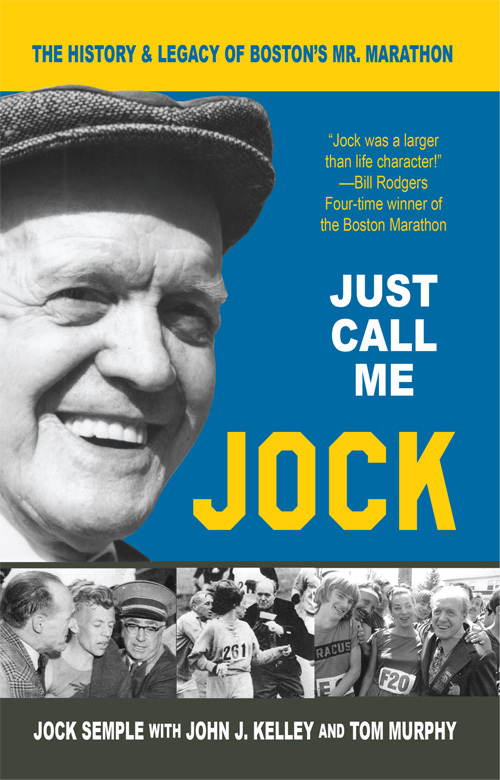 Originally published in 1982, the book is being released again for a new generation of runners and readers to introduce them to the life of one of Boston (and running’s) most colorful characters. A great runner in the 30s and 40s (Jock finished in the top at Boston nine times,) Jock Semple was a trainer of champions and co-director of the Boston Marathon for 30 years. See NY Times coverage when book was originally published – new edition has new material and new photos. 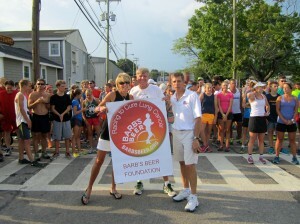 Proceeds from the book support our effort to bring the Barb’s Beer campaign to cure lung cancer to Boston. We’re RACING To The CURE! 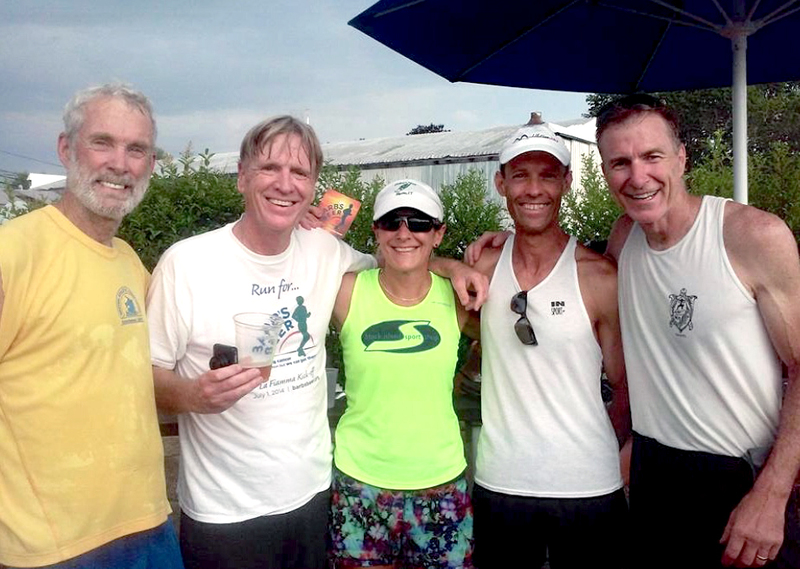 Amby Burfoot, 1968 Boston Marathon winner; Tom Murphy, founder of Barb’s Beer; Kris-Anne Kane and Spyros Barres, CT race champions; and Jim Roy, director of the John J. Kelley Memorial Fund, finish up with a pint of BARB’S BEER at end of the Cafe DogWatch FUN RUN in Stonington, CT, in July 2015 – part of an effort to expand Barb’s Beer and the “Racing to the Cure” campaign though partnerships with running communities across the country. JOIN below – win “Barb’s Beer 20” certificates ($20 gift coupons) for use at our partner restaurants and taverns. Join our Team Today – See below! Lung cancer strikes 250,000 Americans each year, many who like Barb Murphy never smoked. 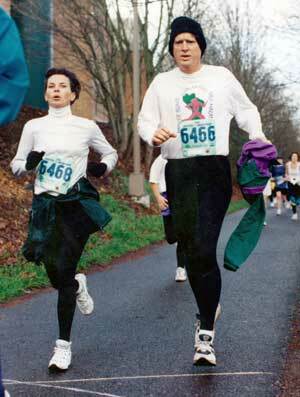 We need everyone’s help to cure lung cancer – fast! That’s why we’re racing to the cure! 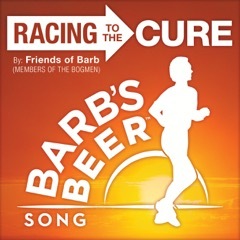 Funds from the sale of Barb’s Beer support GRACE (cancerGRACE.org) a charity created by Dr. Howard West, Barb’s oncologist and one of the country’s leading experts racing “fast” to find a cure. MEET OUR PARTNERS who serve Barb’s Beer and make the campaign possible! We need YOU to join our “racing team!” Why? Because “numbers” on our roster give us the ability to sign up even more restaurants as partners – that allows us to increase funding for cancerGRACE.org. Plus, you can win too! CLICK HERE for details on how YOU can win “Barb’s Beer for 20” Certificates for use at our PARTNER restaurants and taverns! Whether you’re a runner, a beer lover – or just want to help cure lung cancer, join our team to help the cause! In addition, team members receive our monthly newsletter with the latest updates on progress with our campaign – and the latest news from GRACE about strides Dr. West and his team are making against this disease.